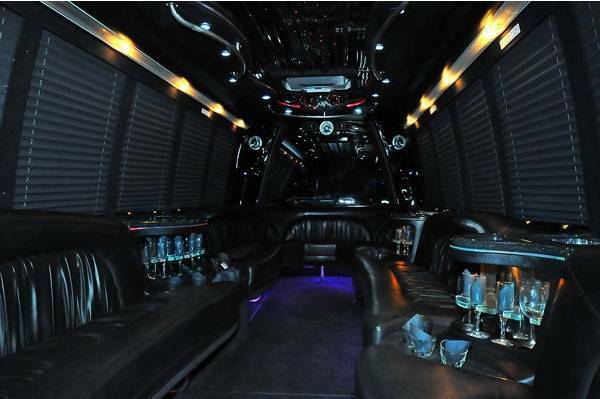 Your entourage can party it up in a Burnaby Party Bus! Entertain a party of 30 with this Burnaby Party Bus. Get the party started! Make your night out on the town an event to remember! Think this bad boy might be too much of a good time? Perhaps consider a Burnaby Limo Bus instead. We offer superior service and packages for Party Buses Burnaby. Planning an outing or an event? Perhaps doing multiple party bus stops from Surrey to Burnaby to Vancouver? Or maybe even Whistler? A Wedding Party Bus or Grad Party Bus is the most ideal way to travel safely and in style as a group. Don't miss out on any of the fun or memories by being separated into several limousines. Call us today to talk Burnaby Party Bus packages and pricing.